Britain’s gathering Olympics medal haul is heart-warming, but our heroes in Rio are not the only ones doing great work and being a credit to their communities. All the agents and other property professionals here are doing their bit, too, to inspire and help others. And they have let us know by emailing press@estateagenttoday.co.uk - and we have done the rest. ‘Catfest’ for MacMillan Cancer Support: The wife of the respected and high-profile agency trainer Julian O’Dell is fighting cancer again - Julian’s Twitter followers may be aware of this, as may those attending past fund-raising events by the family for MacMillan. Now Julian and his family are holding ‘Catfest 16’ and are aiming for 300-plus attendees each providing a minimum donation of £50. “Profits all go to Macmillan and various fundraising activities at the event will also boost the coffers. We expect to raise well over £20,000” says Julian. Meanwhile Julian is exhibiting and selling his own pictures at the event (he’s raised around £8,000 for the charity this way to date). There is a Facebook page about it and Julian is exhibiting at Catfest - so it’s a great cause if you can contribute either by attending or by contacting Julian and buying a picture. You can contact Julian at julianodell@live.co.uk. Alzheimer’s Society: With support from Agents Giving and Rightmove, Laura Fiddes-Baron - lettings new business manager at the agency Robert Oulsnam & Company - climbed the Yorkshire Three Peaks with friend Kelly Merriman, raising over £800 for Alzheimer’s Society. Following five months of training, the duo started their challenge in Horton, Yorkshire, in the early hours of the morning on a July Saturday. The first peak, Mount Pen-y-Ghent stands at 694m tall and was followed long hike to peak number two, Whernside, the tallest of all three, standing at an incredible 736m high. After a total of 18 miles hiking and climbing, Laura and Kelly faced their final peak, Ingleborough, which stands at 723m high. The challenge did not stop there, however, with Laura and Kelly finishing the three peaks with a five mile hike back down the last mountain. They were met at the finish line by friends, family, and Alzheimer’s Society staff who handed out medals and well-deserved cups of tea. Scotland Charity Air Ambulance/The Sandpiper Trust: CKD Galbraith has won first place at the Lanrick Challenge. The event saw hundreds of competitors taking on physically and mentally gruelling race options set in the grounds of Lanrick Estate near Stirling. CKD Galbraith entered two teams into this year’s event made up of nine members of staff from across their rural, residential, commercial and premium buying divisions. Funds raised by Lanrick Challenge participants go to two extremely worthwhile causes, Scotland’s Charity Air Ambulance (SCAA) and The Sandpiper Trust, both of which provide vital support to rural communities across Scotland. Cookridge Primary School: The Adel and Horsforth branches of Manning Stainton agency donated nearly £500 to the Cookridge Primary School PTA. The money raised will be used to enhance the learning experiences of children in the school. The PTA has previously funded a trim trail with exciting obstacles and apparatus, and made contributions to improving the ICT and maths facilities. MacMillan Cancer Support: Precision Property Marketing has provided time, at no charge, to agency Butters John Bee to document its involvement in Macmillan Cancer Support's ongoing Brave The Shave campaign. This was achieved through producing a series of short animated videos in the build-up to the event. These clips were circulated through Butters John Bee's social media networks in order to pique public interest; with the videos gaining a reach over 2,500 views in around six hours. The marketing film team were also present at their client's head office in Stoke-on-Trent on the day of the head-shave, to capture the moments when the team of ten volunteers, which included managing directors and branch managers, had their hair razed. Paramount Properties: Paramount says it prides itself as being independent and individual - and that includes the organisations it supports. It says it aims to backcharities responsibly, ethically and productively, by giving time; providing office space; donating money, fundraising and offering skills. 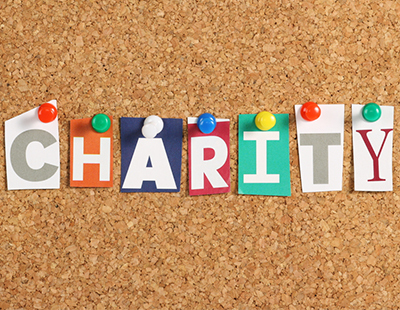 These activities are coordinated by a charity committee in the firm. Time and awareness - Brent Food Bank (donations plus an all- day collection at Kings Cross in July raising £400); Centre Point Sleep Out (coming up in November); Anthony Nolan Trust. Office space - Santa’s Grotto; Wrap Up London; Brent Food Bank. 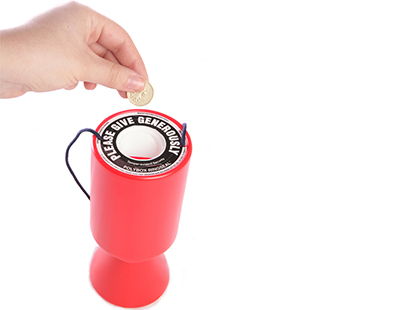 Fundraising - Agents Giving Day (£2,000 raised); Down’s Syndrome Association (£11,000; SANDS charity (£300); The Winch (£1,000 with more to follow). Plus: MoRun, Comic Relief, Survival of the Fittest, Dirty Weekender, Men’s Health. Well done Paramount - we salute you! Romans’ Local Picture: Over 170 entries were submitted to this recent photography competition run by Romans, which donated £5,000 to charities and community groups picked by the winners. The judges’ winner was Amanda Smith whose photo starred Wendy Rumble. Amanda split the £2,000 charity donation between the Alexander Devine Children’s Hospice Service and Rosie’s Rainbow Fund. The public vote winner was Alice McCarthy for her photo in Chazey Wood. She donated £1,000 each to her chosen charities; Reading Samaritans and The Heights Primary School in Caversham. The judges’ runner ups were Belinda Ewart, who donated £500 to the 2nd Uxbridge Scout Group, and Victoria Balsdon, who donated her money to Disability Africa, a charity based in Guildford.